Did you know that doodling helps people concentrate while fostering creativity? It’s true 🙂 ….. 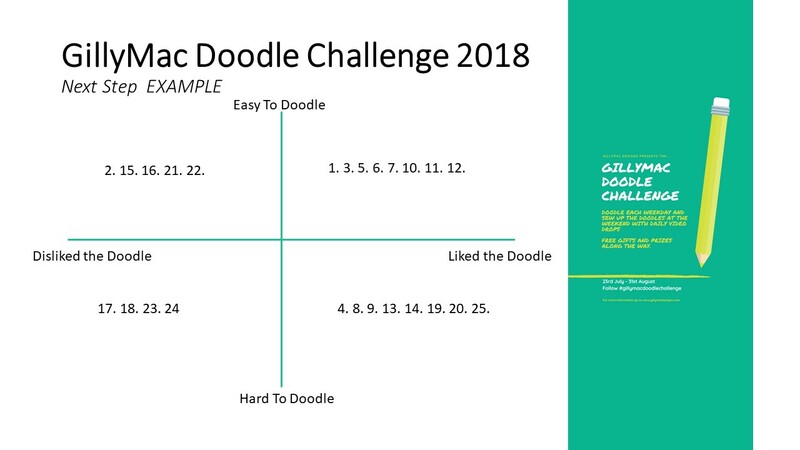 This Summer I will be running two challenges. 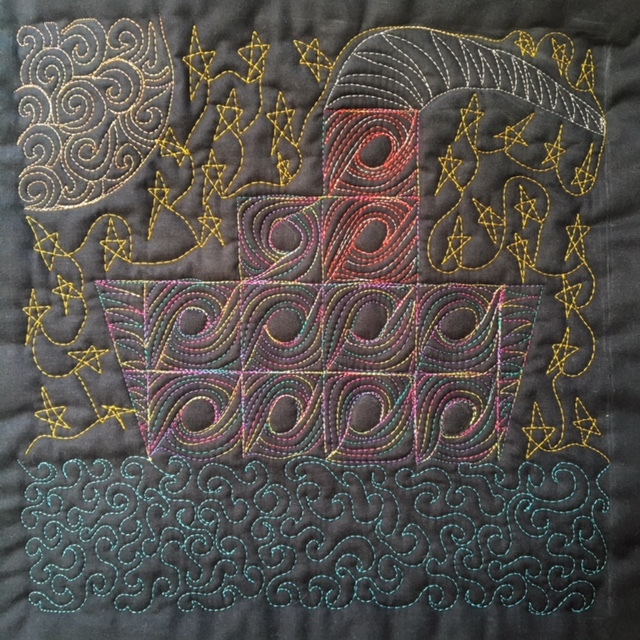 Both can be completed by anyone (children as well), and neither needs anything complicated by way of equipment. 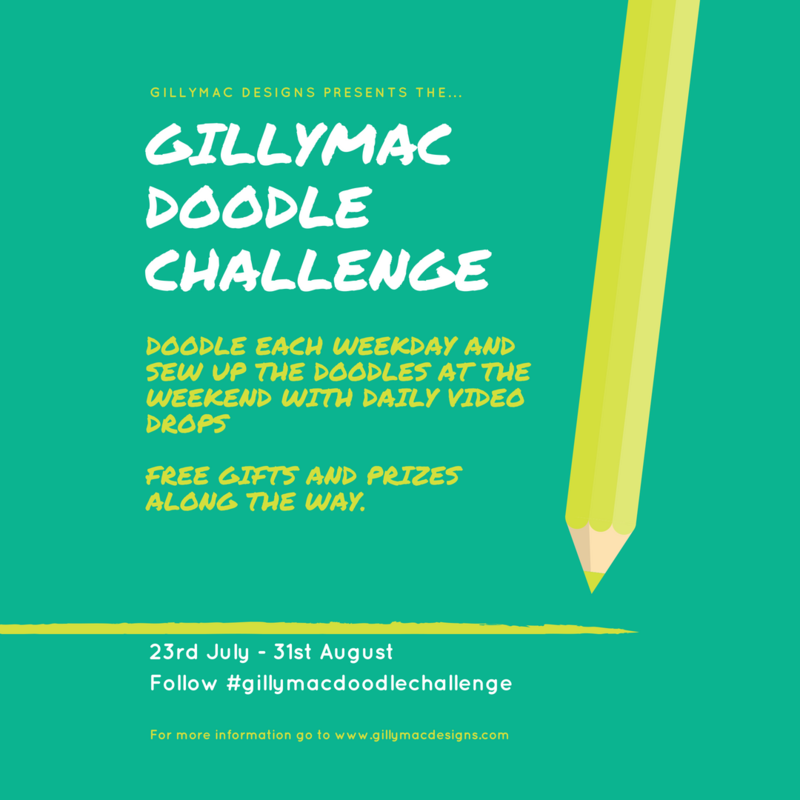 The first one is my GillyMac Doodle Challenge. What is it? 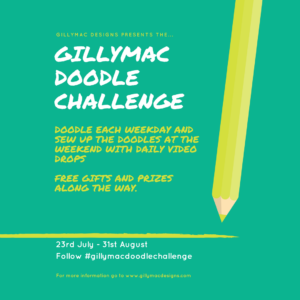 Each weekday for the six weeks from 23rd July to the 31st August I will post a 2-3minute video of a doodle that you should practise that day. 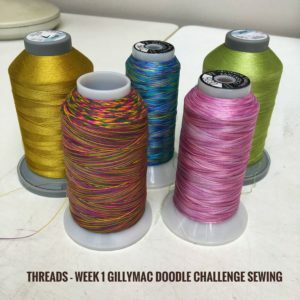 Then on the Saturday of each week, I will post a video and some pictures of the doodles sewn out on the sewing machine. After 6 weeks you will have learnt 30 doodles and if you manage to follow on with the weekend doodle sewing then there will be a bonus video showing you how to make these into a fabric book containing 6 pages and one front cover of your sewn doodles. 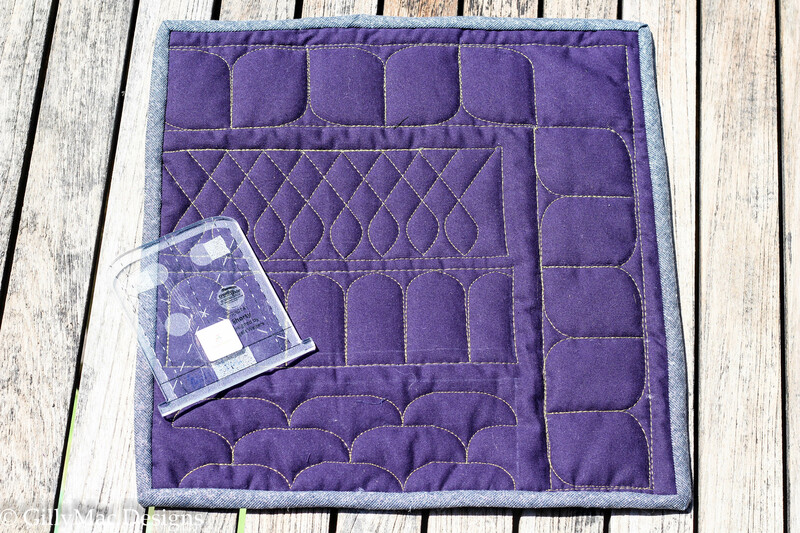 This will be a brilliant reference guide for your free-motion quilting going forward. There will also be prizes and giveaways each week for those taking part. What will you need? 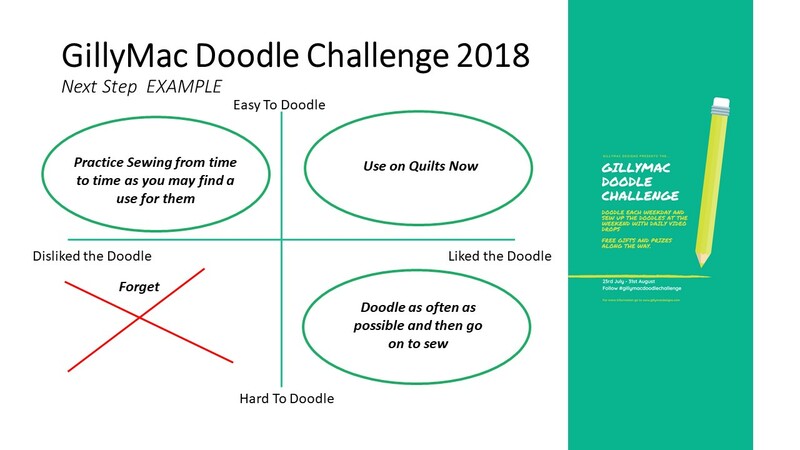 For the daily doodling, you will need an A5 or A4 notebook with blank pages and a sharp pencil. 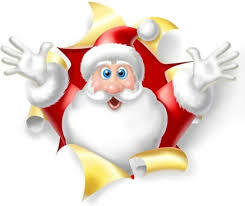 A notebook is better than sheets of paper, as single sheets can get lost. 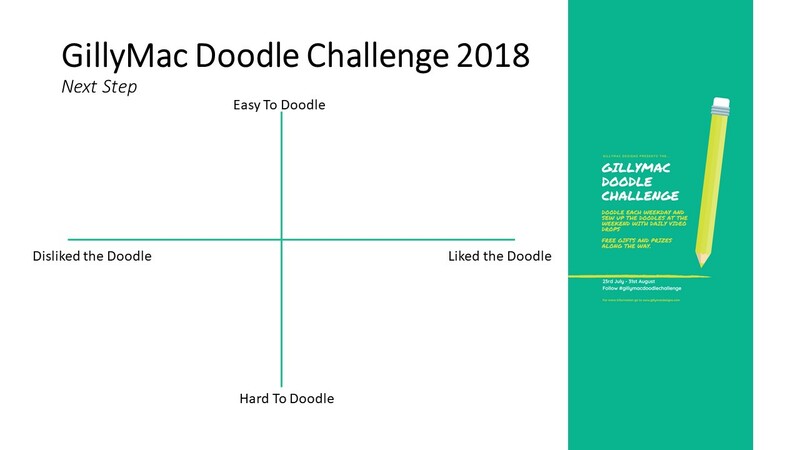 The notebook needs at least 30 pages in it. 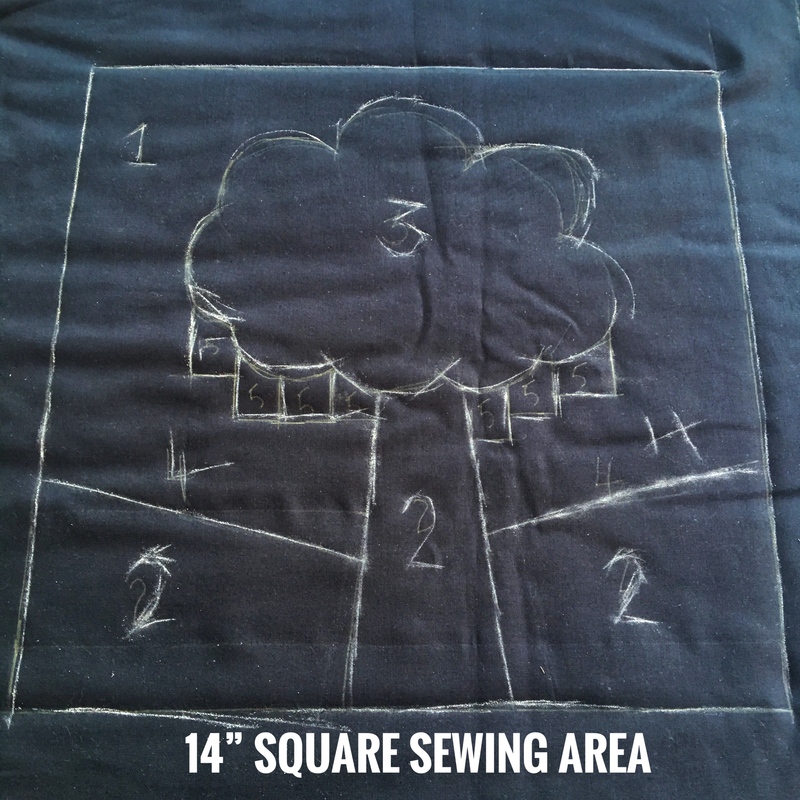 For the weekend sewing, you will need a 12 1/2″ wadding square for each week (backing fabric, wadding and top fabric). 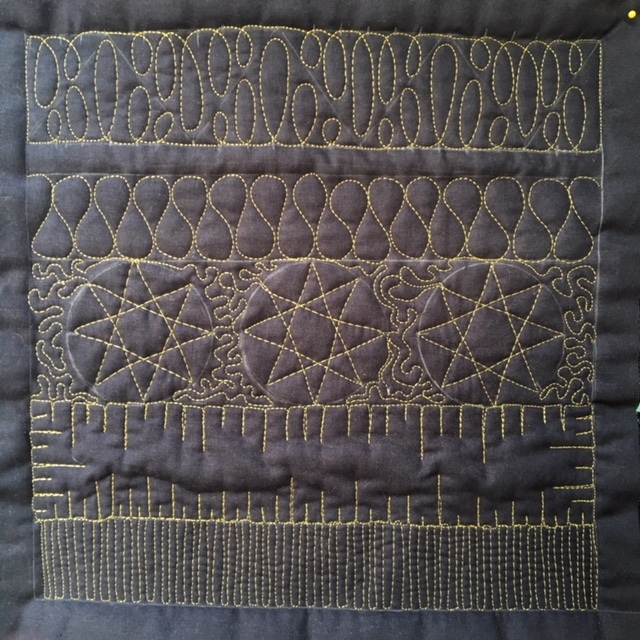 It is best if the fabric is not patterned. Anything plain will do. 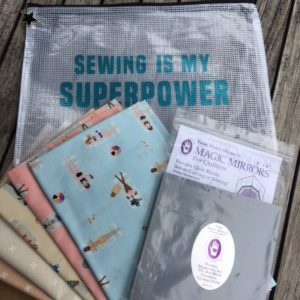 You will also need contrasting thread and a darning foot for your sewing machine. 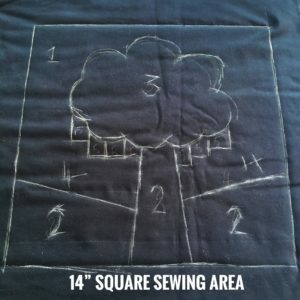 To make up the book at the end of the challenge, you will need an additional 12 1/2″ wadding square, 5 eyelets, 75 cm of ribbon (anything will do – about 1/2″ wide) and 1/2m of fabric to bind all the squares. This week I held the first of my new Ruler Quilting Classes. 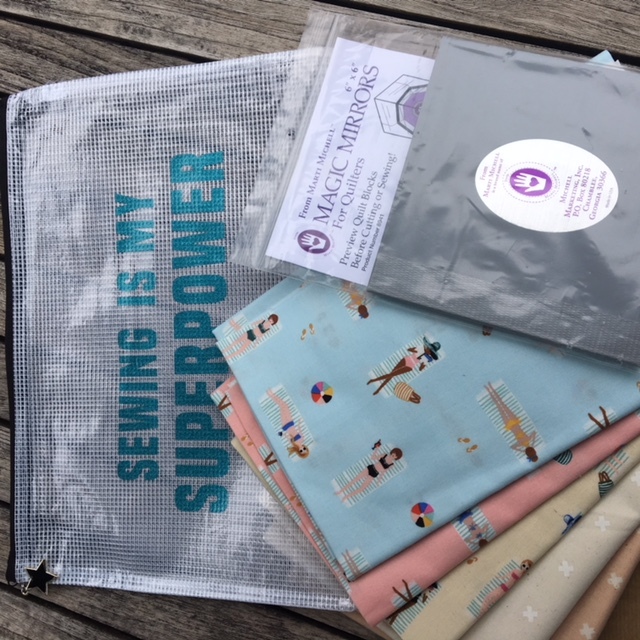 I was really excited to show the five ladies all about how rulers can be used on a domestic sewing machine to create fabulous free motion designs. 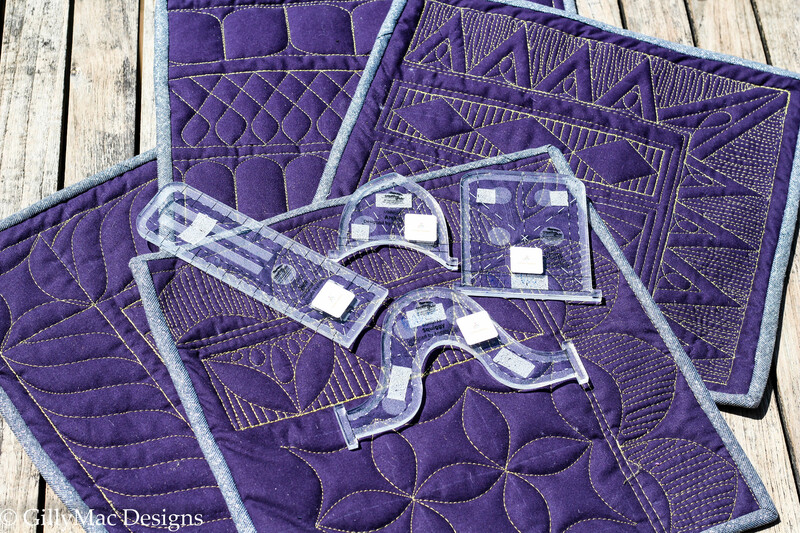 Ruler quilting offers the opportunity to switch the way you think about free motion quilting. 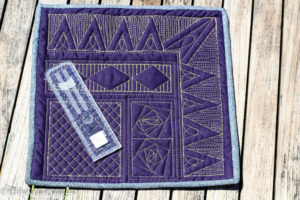 By using rulers you are able to create smaller, manageable structures which are great to look at on their own, or you can embellish them with more traditional free motion designs, like pebbles, ribbons, figures of eights, feathers and zig zags. 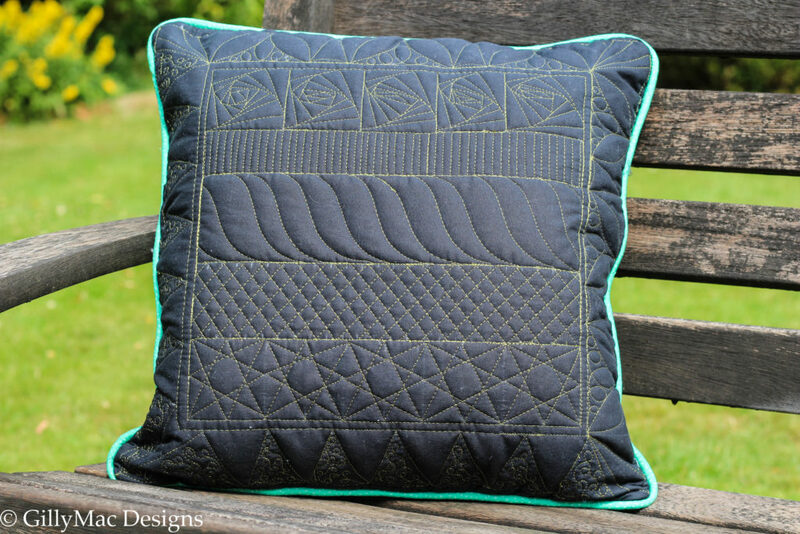 During the class, there is lots of practice in the morning (or on the first evening), and in the afternoon (or second evening) the class focusing on marking and making the cushion sampler below. In the class, we learnt about ruler feet. 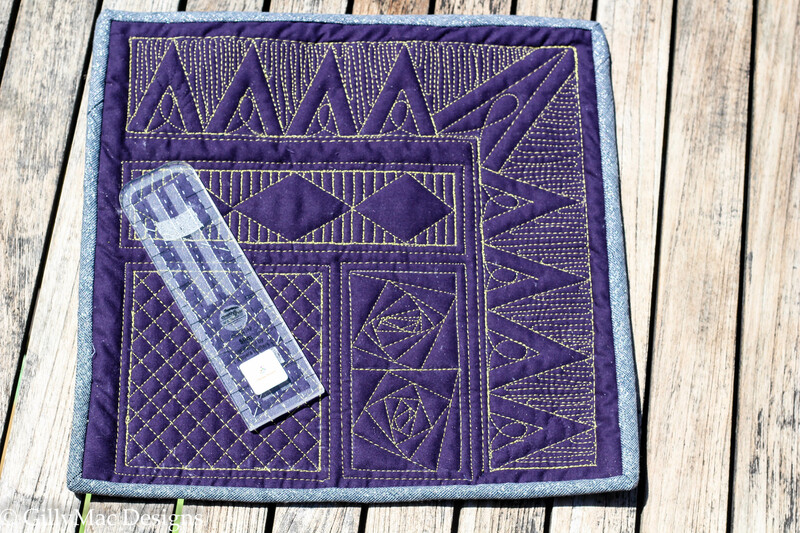 The ruler foot looks exactly like your darning foot, except it is thicker. It doesn’t have the bar that fits over the needle screw and it doesn’t hop. instead, it will just glide over the material. 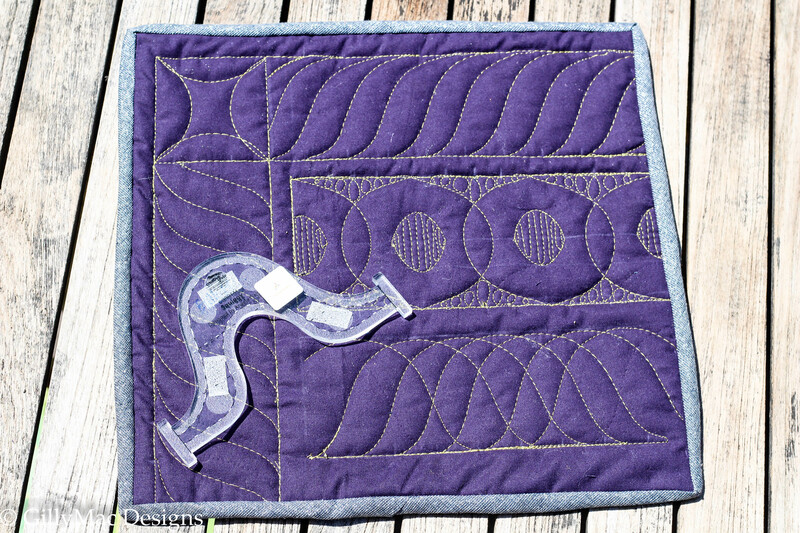 Setting the ruler foot to the correct height is critical so that the fabric moves easily, but the height of the foot is not so great such that the stitches don’t complete properly or the ruler is able to slip under. There is more to the ruler than just the shape of the outside edge! 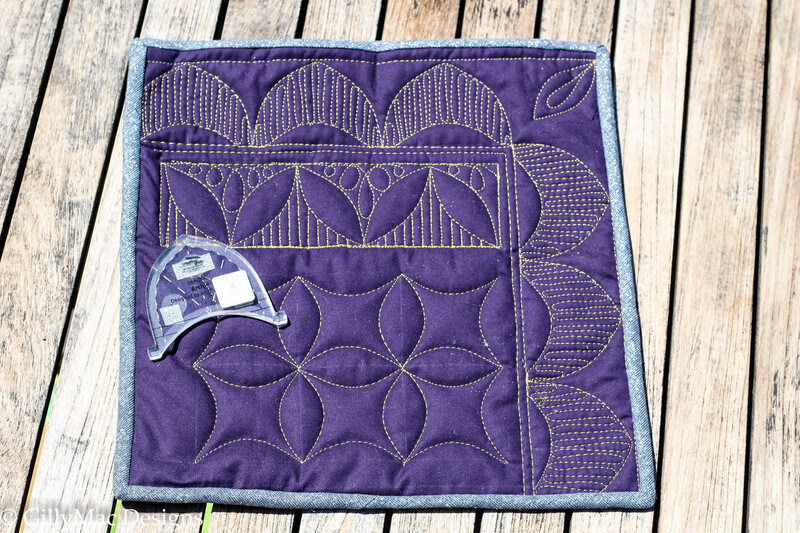 I buy Handiquilter rulers and have built up a little stock now. They are beautiful but expensive. 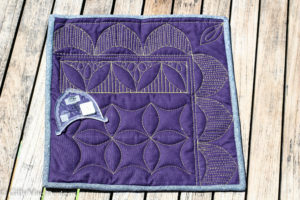 In the class, each person can use my Handiquilter Rulers, but each pupil in the class had access to all four of the rulers that Angela Walters brought out earlier this year. 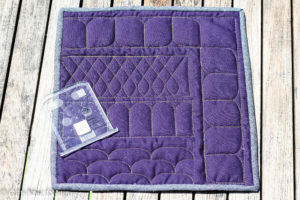 They are versatile, the right size for domestic quilting and all four retail at around £90 in the UK, which is much less of an investment to make to continue with ruler quilting after the class. As with everything, it is practising that makes us proficient. 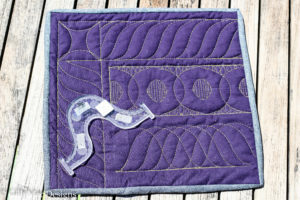 Ruler quilting is definitely something for you to try – for many people, I expect this to be the breakthrough in free motion quilting that they have been looking for. 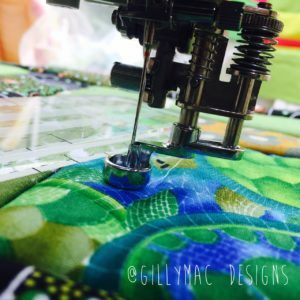 For details of further information on my Ruer Classes 1 & 2 and other GillyMac class click here.